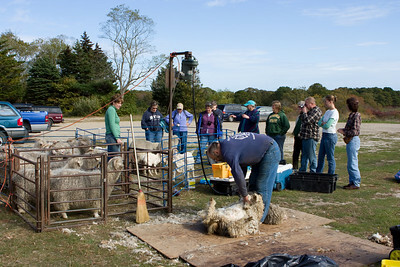 Our trip to the Fall Shearing at Martha's Vineyard Fiber Farm. 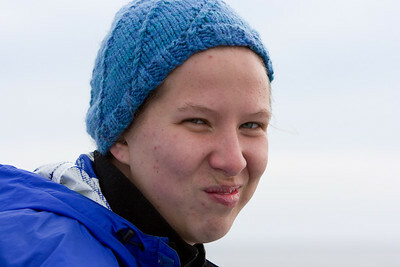 This couple was very elegantly outfitted and cute. 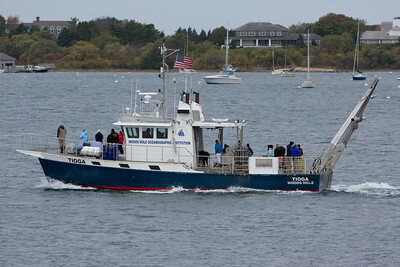 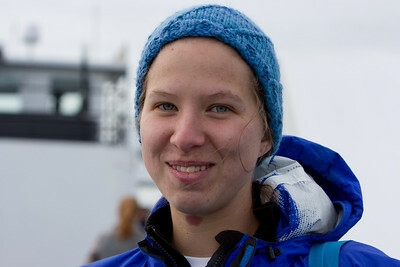 We saw a WHOI vessel leave while waiting for the ferry to depart. 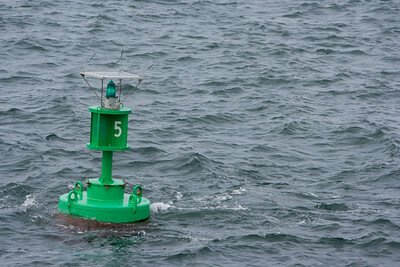 Green buoy leaving the harbor. 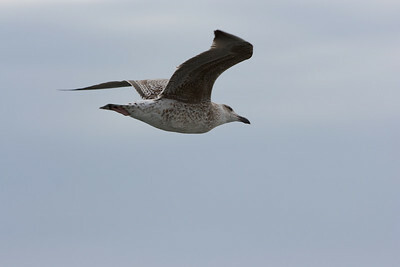 There was a gull that followed alongside us the whole way to Martha's vineyard, quite close by (this photo is not cropped). 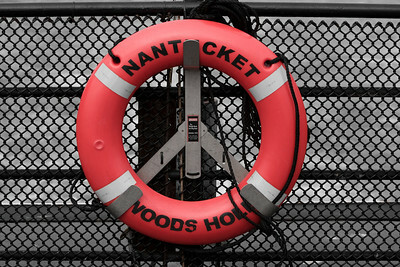 We traveled on the Nantucket, to Martha's Vineyard. 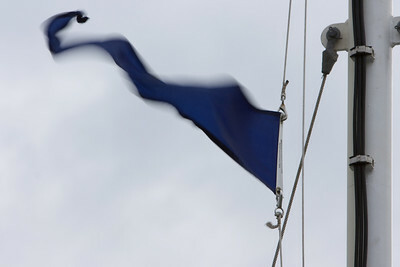 Flag flying on the forward mast. 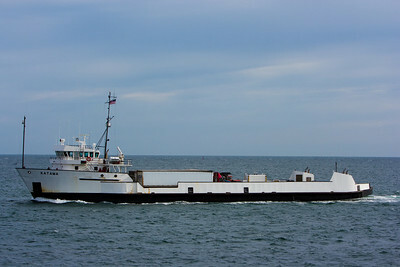 Another ferry headed in the opposite direction, loaded with trucks. 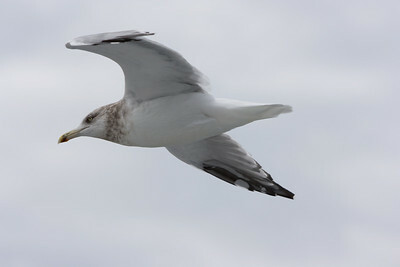 Another bird seen from the ferry. 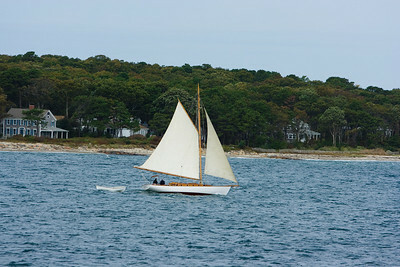 Gaff rigged sailboat "Liberty" near the shore of Martha's Vineyard. 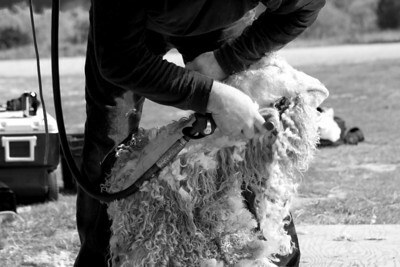 Andy, a professional shearer, travels from location to location to shear sheep and goats. 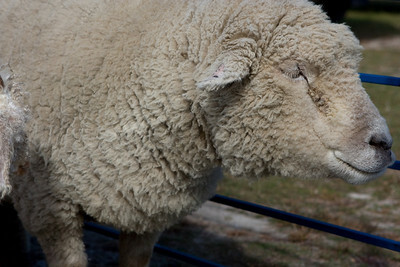 He lives in Vermont. 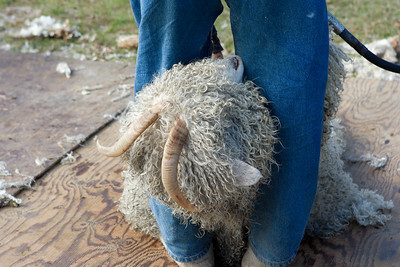 Sheep wool grows slower than the Angora Goats, so these sheep won't be sheared today. They are sheared each spring. 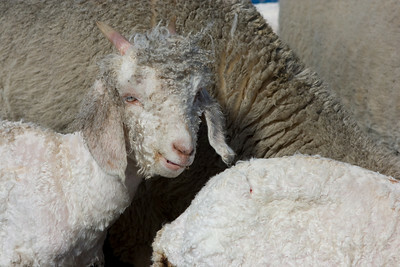 Freshly shorn Angora Goat kid. 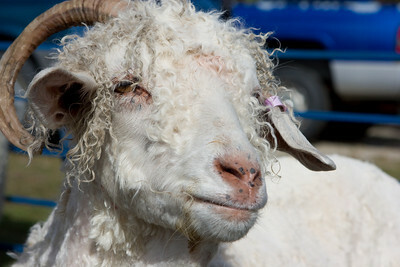 The goats were remarkably docile, letting out only an occasional bleat. 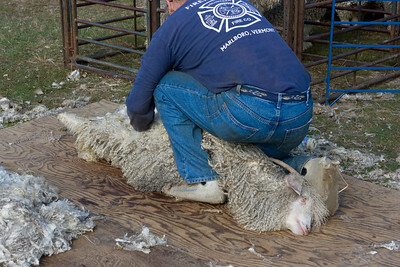 Supposedly sheep are even more easy going, and many shearers won't do goats. 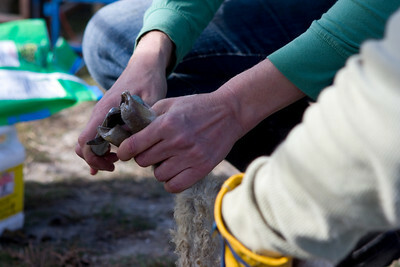 The shearer holds the goat up with his legs. 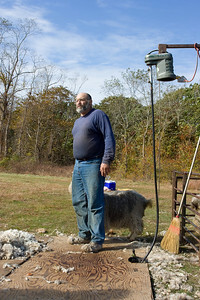 The equipment consists of a motor on a pole with a flexible shaft drive that attached to the trimmer. 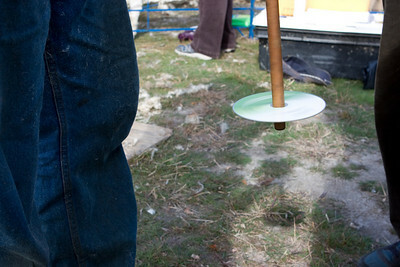 This allows the use of a more powerful (and heavier) motor. 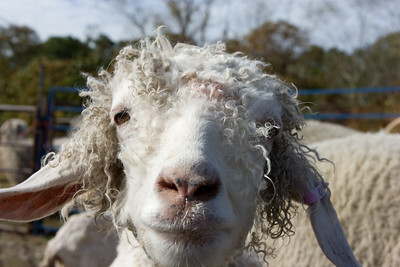 Angora goat checking me out. 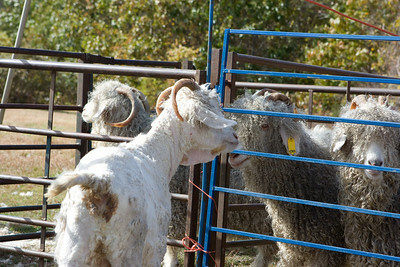 The goats started in one pen, moved to a staging pen, then were put into a "done" pen. 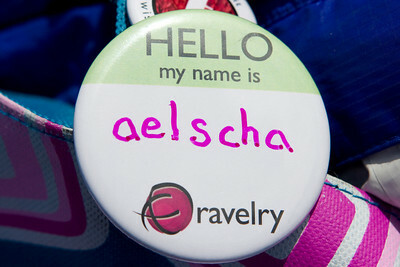 Abby's ravelry username on her knitting bag.